Sewage damage. It’s one of those untimely life tragedies that you don’t think will happen to you, until it does. Sometimes it’s brought on by a toilet leak, an old system, or a backup from the city sewage system. Either way, it’s a pain. Sewage is considered a Class 3 in water damage, meaning it’s the most toxic type of water damage and poses the greatest health risk to you and your family. The contaminants in Category 3 water are easily transferred by touching affected surfaces and tracking harmful microorganisms to other surfaces and people. Just 1 millimeter of raw sewage can contain up to 1 million microorganisms! 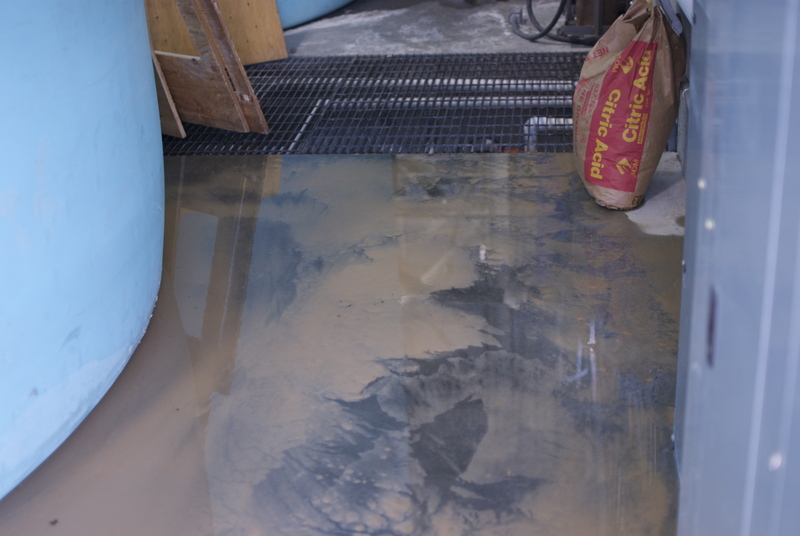 In order to remove the unhealthy traces of sewage damage, it’s imperative to clean up quickly. Professional help is highly recommended and necessary to restore your home to its clean, healthy state. To begin remediation, there are a few things you can do to expedite the process. Wash hands frequently to avoid contamination. Cover any cuts to prevent infection. Keep children, pets, and elderly individuals free of the affected area as they are more susceptible to disease. Classify all surfaces and objects as contaminated until professional sanitization can cleanse it. Never eat any food that may have come in contact with sewage water or flood water. Wear long pants, long shirts, rubber gloves, and safety goggles if you must come in contact with raw sewage. Remember that over-the-counter disinfectants will not fully remove all pathogens, microorganisms, and germs contained in sewage. Before you do anything, make sure the area is safe. Standing sewage water can make structures unstable and unfit for pressure. If you are unsure of the safety of an affected area, play it safe by staying away and contacting a professional. As with other types of water damage, electrical wiring may give you a sizable electric shock when in contact with water. Turning off your power is a great way to reduce danger. You will also want to document the damage. This can be as simple as writing down a list of damaged items or snapping some pictures on your smart phone. As you are filing your insurance claim, this documentation will speed up the process and provide additional evidence. After you have stressed the importance of cleanliness and disease prevention to your family, call a professional to assist you in restoring your home. Sewage damage should not be taken lightly—it’s not only disgusting; it can be extremely detrimental to your health. If you are a handyman, your first instinct might be to roll up your sleeves and get to work. Be careful! Scouring the internet for do-it-yourself restoration ideas can be a poor decision. Usually only professionals have access to the high-grade equipment necessary to fully restore your property. Professionals also have the expertise to assess and restore countless situations. Since every case is different, we understand the importance of conducting a thorough restoration job. If you’ve experienced the inconvenient burden of sewage damage to your home in Summerlin, give us a call! We are available 24 hours a day, 7 days a week to remediate the damage to your residential property.